Computer maker Lenovo Group expects the 2008 Beijing Olympics to propel it onto the world stage. With 500 days still to go prior to the Summer Games, the company has launched an Olympic roadshow and daily Olympic-countdown spots on state-run China Central Television. Lenovo secured Olympic sponsorship rights in 2004 for $65 million, payable in cash and trade. One of the "in-kind payments" will be the set-up of 12,000 PCs that will play a role in everything from scoring to ticketing. The message going out to the ad industry from its clients is: figure out how to better integrate digital media or you will lose business. More and more clients are already demanding digital, and they will gravitate to agencies which can provide it. In short, no matter how talented an agency’s creative team or how well the client's management likes the firm's executives, the agency is of limited value unless it embraces digital media. With the changing demographics (68 million aging baby-boomers) taking place in the U.S., the old indicators of economic health aren’t as important as they once were. For decades we reliably counted on unemployment figures and the stock market...but soon they will be replaced in importance by health care and pensions. ITEX Corporation (OTCBB:ITEX) is launching an Executive Privileges Program in an evolutionary move that promises to move the largest U.S. barter company to a higher plateau. The program will provide a series of key benefits to its 22,000 membership base. "The Executive Privileges Program provides real value in areas we believe will help small businesses succeed. Members are being provided more reasons to join ITEX than merely being able to transact business in our cashless marketplace. We are expanding our business proposition with added services, delivered by well known companies," stated Steven White, Chairman and CEO. "By adding support services for our business base, we seek to maximize our sales effectiveness and increase new member registrations through our franchise network," White explained. "We will announce the first Executive Privileges component on Tuesday, April 3, and then announce additional programs thereafter on each Monday through the end of April." 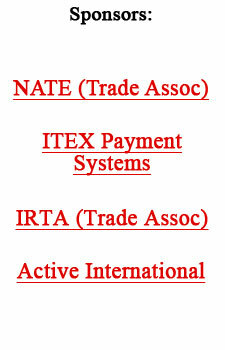 ITEX is expanding member benefits to include new services aimed at improving member business profitability. By teaming with some of the leading brands in industry — to provide discounts, personalized services, and added value — the firm will extend services complementing those that members currently offer each other. The Executive Privileges Program will utilize the bargaining power of the 22,000 ITEX member businesses, with their 100,000 employees, to derive benefits that individual members could not get on their own. ITEX intends to re-invest any revenue derived from the program to attract and retain more members. · More easily communicate ITEX community benefits to new member prospects. · Integrate the Executive Privilege Program offerings. · Change the site's look and feel to facilitate greater interaction among the company’s member businesses. ITEX, headquartered in Bellevue (WA), processes more than $250 million a year in transactions through 22,000 member businesses managed by 95 franchisees and licensees. For more information on ITEX contact Alan Zimmelman alan@itex.com, or go to www.itex.com. National Trade Banc, headquartered in Houston (TX), has announced an agreement with White Springs Television and TalkStar Radio for handling $3 million of broadcast advertising media. "We are pleased to be working with White Springs because of their extensive reach in hard-to-penetrate markets across the United States and Canada," affirmed National Trade Banc chairman Roy Flis. White Springs Television delivers classic motion pictures via satellite to local US stations coast to coast. TalkStar Radio provides free, high quality talk radio via satellite to radio stations across the United States and Canada. "Media availability on White Springs networks," Flis said, "means National Trade Banc member businesses can increase sales and profitability by leveraging their surplus goods and services to pay for broadcast advertising, and thus reach new customers with extreme cost-effectiveness," Flis said. "It's a win-win for White Springs, National Trade Banc, and NTB members." The highly fragmented barter business — a cashless transaction where one trades a product or service for another — is set for a sea change in India with Bartercard, the world's largest exchange, announcing its foray in the country. A newly-elected mayor is trying desperately to restore order to Tepito’s notorious inner-city barrio, but rather than raiding gang hangouts and throwing them all in the slammer the Mexican government is looking to reward them. In a presumably last ditch effort to curb gunfighting, city officials are offering computers (reportedly worth $769) to gunslingers who give up a high-caliber weapon such as a machine gun. Folks coughing up smaller artillery will be blessed with an Xbox console. Notably, the effort is already seeing minor success, as some 17 guns were turned in on the program's launch day.